If you had to describe Texas with hashtags which ones would you choose? #DontMessWithTexas? #RememberTheAlamo? #CowboyBootsForeva? #WillieNelsonForPresident? I chose mine two years ago, after moving to Austin, and it’s #TexasIsNotOnlyCowboys. “Duh, Yulia!” would say anyone who was born in the U.S.A. Don’t judge, though. In America, people think that Russians drink vodka for breakfast and have pet bears at home. In Russia, we think that in Texas everyone wears a cowboy hat and rides a horse to work. Ok, maybe not that extreme, but you get the point. The hashtag #TexasIsNotOnlyCowboys actually exists in my Instagram (@thatswhat.she.had). It was born on the day I went to Hamilton Pool for the first time. 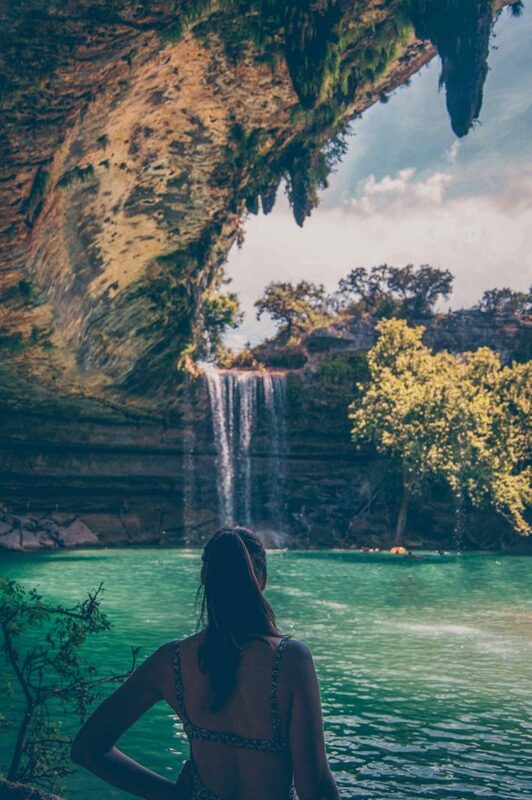 So insanely beautiful and magical that natural pool is that I couldn’t believe I was still in Texas. 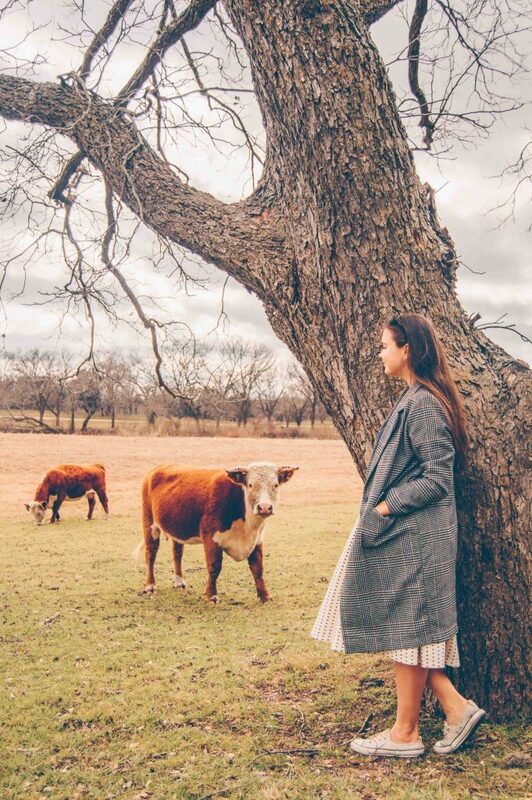 From then on, I started using this hashtag for Texas pictures that didn’t look like Texas to me. Below are some of my favorite #TexasIsNotOnlyCowboys kinda pictures! 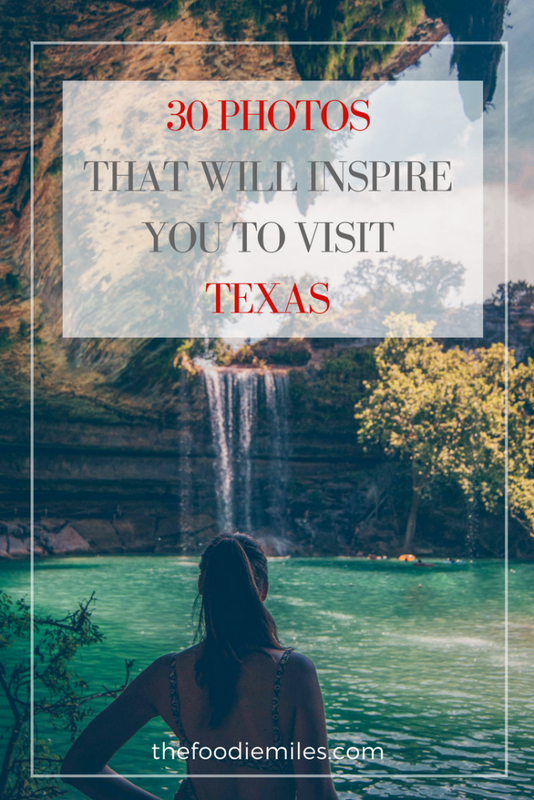 Hope they will inspire you to visit the Lone Star State one day. The first trip to Hamilton Pool that opened my eyes to how diverse and beautiful Texas is. Technically, it was my second trip, though. On the very first trip, we drove for an hour to the pool only to realize that reservations are required. Had to go home without seeing this beauty. 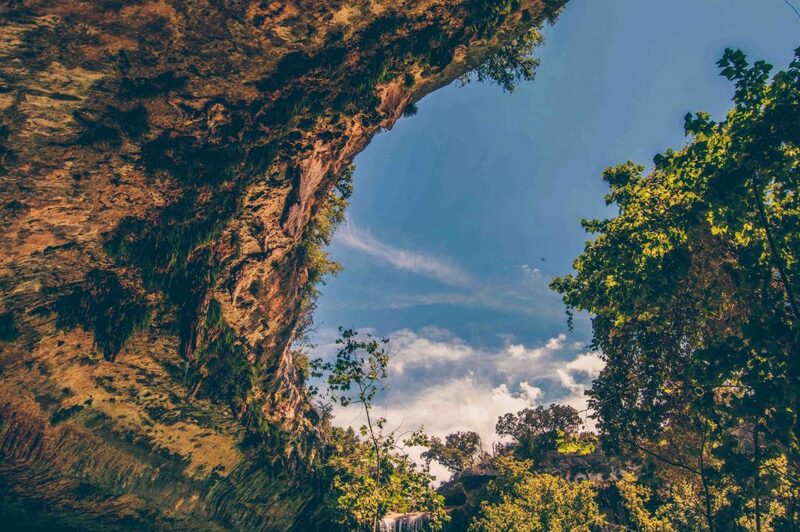 Hamilton Pool was created thousands of years ago when the dome of an underground river collapsed because of erosion. After that first visit, I came here two more times. Reserving a spot, especially on weekends, becomes harder and harder. 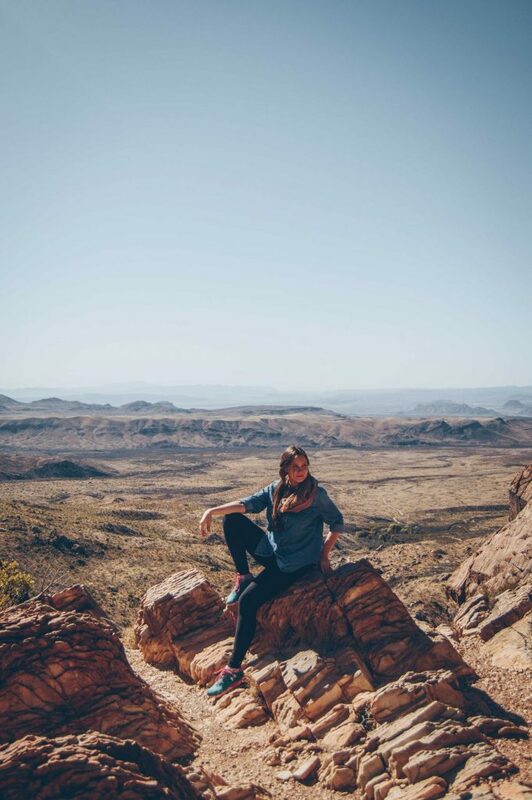 Then, there was a trip to West Texas, one of the most unique, adventurous, and memorable trips I have done in the U.S.A. 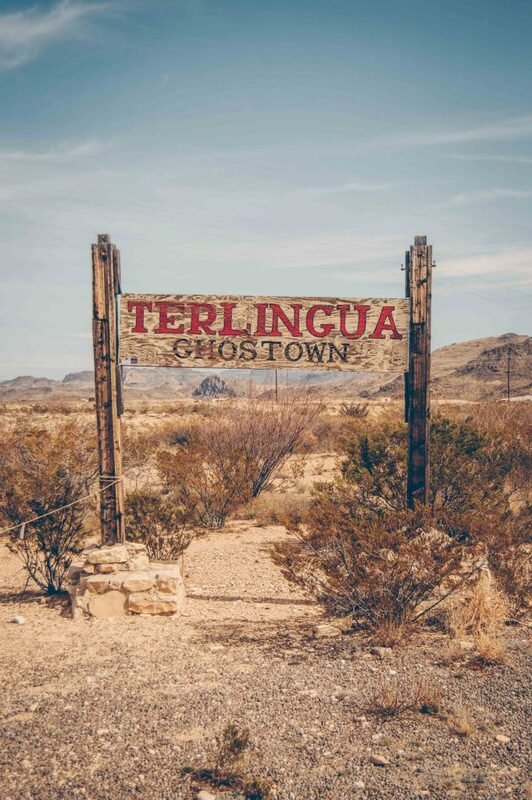 It included hiking in Big Bend National Park, living in an RV, eating huevos rancheros and chili, looking for Indian petroglyphs on the mountains, and visiting a ghost town. 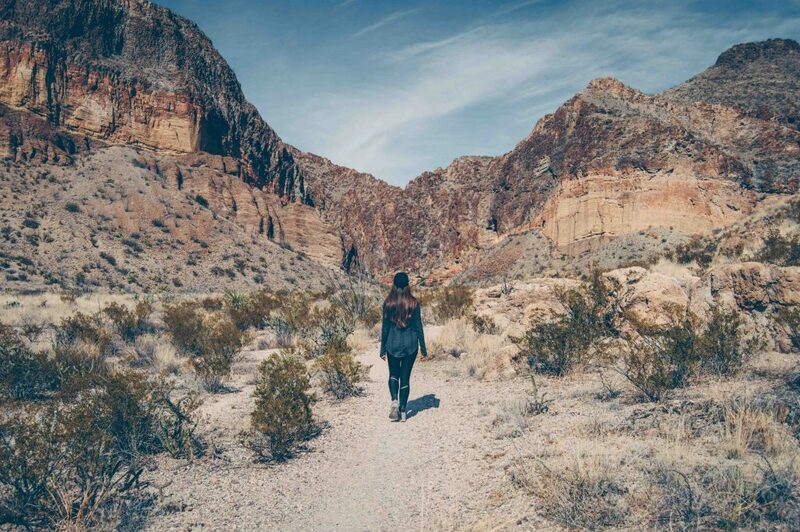 This picture was taken on Santa Elena Canyon trail inside Big Bend National Park. I am not looking in the camera, because sweat is running down my face after a few hours oh hiking. 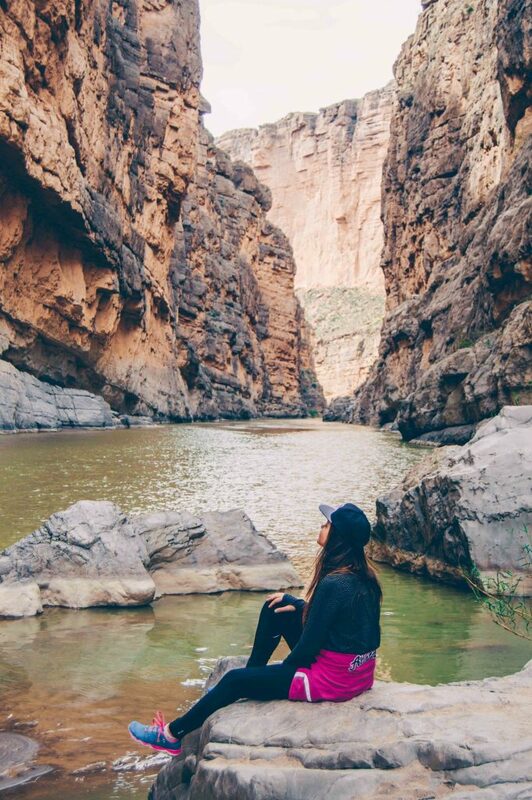 I am probably thinking how nice it would be to take a dip in the Rio Grande River. But the other hikers wouldn’t understand. 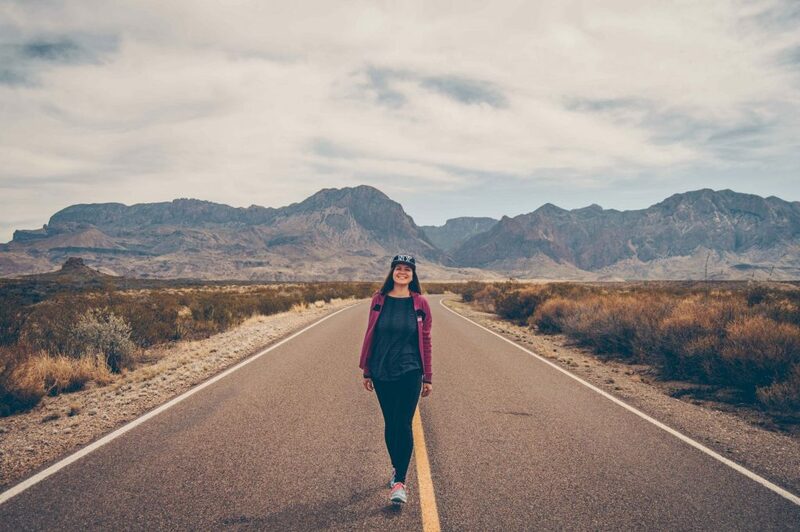 While doing research for the Big Bend trip, I found this: “The topography of Big Bend is so barren and jagged that America’s astronauts in the 1960s took field trips to the park to prepare them for landing on the moon.” (The Story of Big Bend National Park) How cool is this place? Does it look like I just landed on the moon? 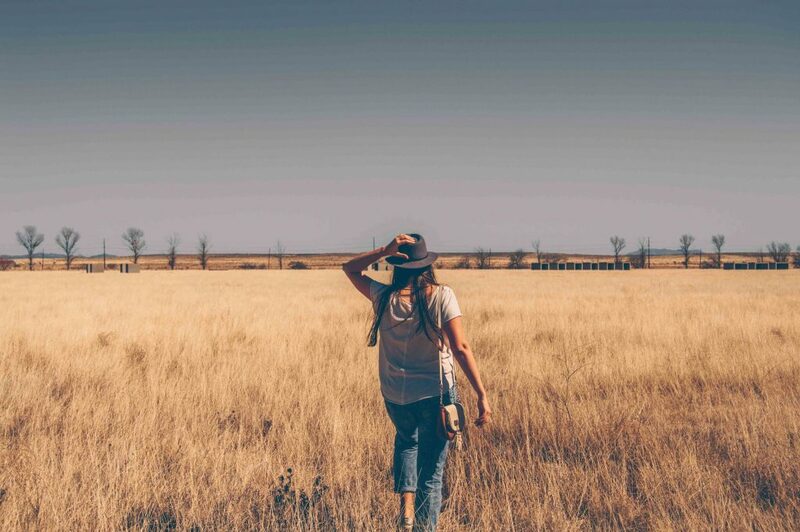 Another popular destination in West Texas is Marfa. Every year this tiny town is flooded with thousands of fashionistas traveling here to take a picture in front of Prada store. 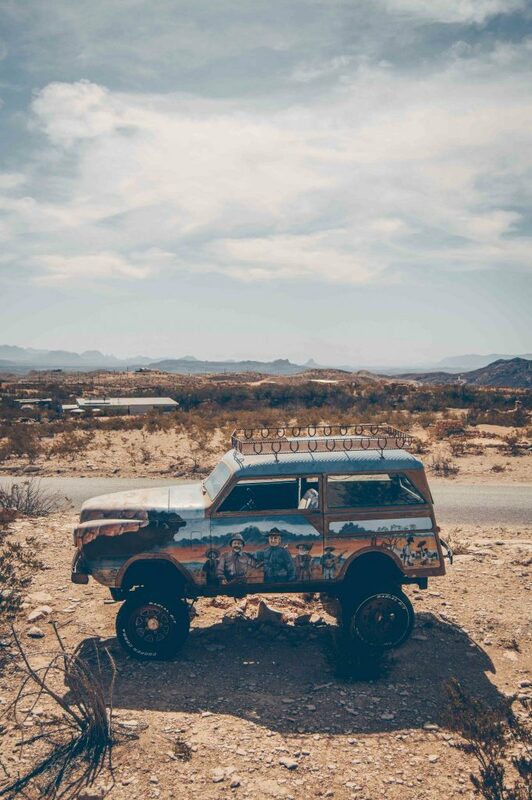 The shop is located right in the middle of Texan desert with nothing around but occasional cars passing and tumbleweeds rolling on the road. 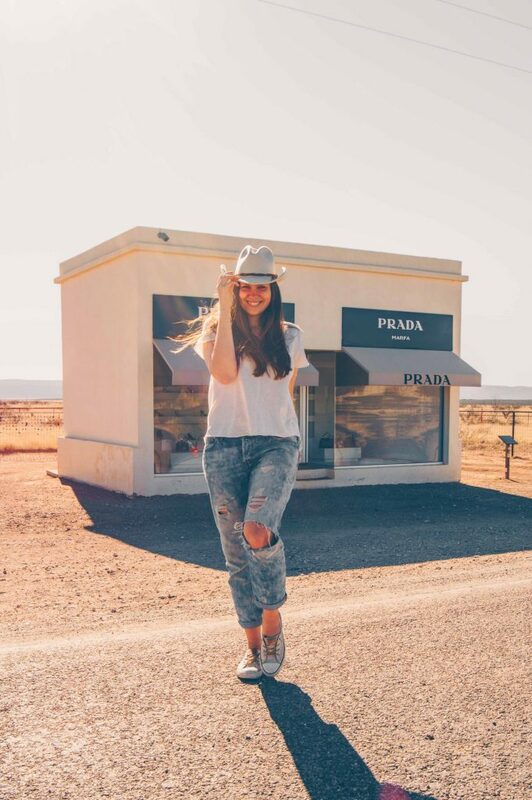 You can read the story of Prada store and more about my trip to Marfa here. Marfa is also known among art-aficionados. 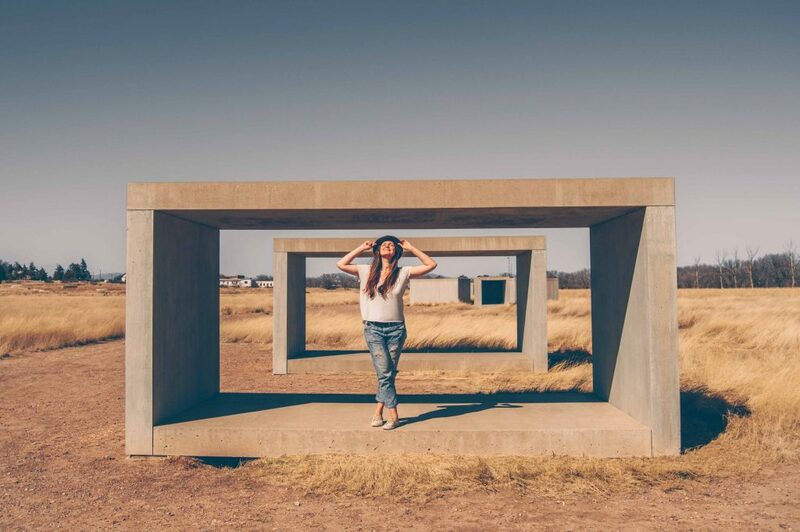 The Chinati Foundation in Marfa boasts immense indoor and outdoor installations on the grounds of a former army base. I am not sure about the meaning of this art-object, but it looks great on the pictures. And that’s how I made my way to those concrete blocks on the picture above. Nobody said exploring art is easy. I, for one, ended up with scratched ankles and hay in the most unimaginable places. By the way, I am holding on to my hat not for the Instagramability purposes, but because the wind is freaking crazy in the field. When I couldn’t go far, I explored the towns nearby. Taking this iconic picture alone is worth traveling to Texas. 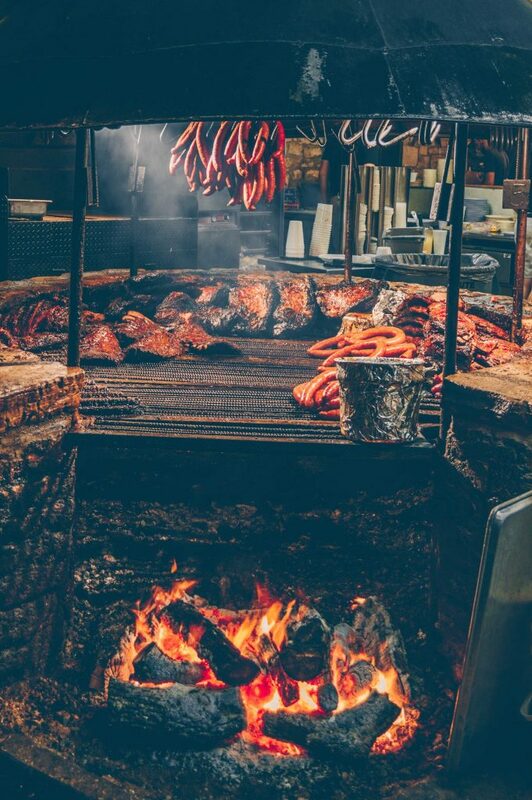 The grill at Salt Lick BBQ in Driftwood, TX, is mesmerizing. The BBQ is good too. Pro-tip: try their pecan pie. 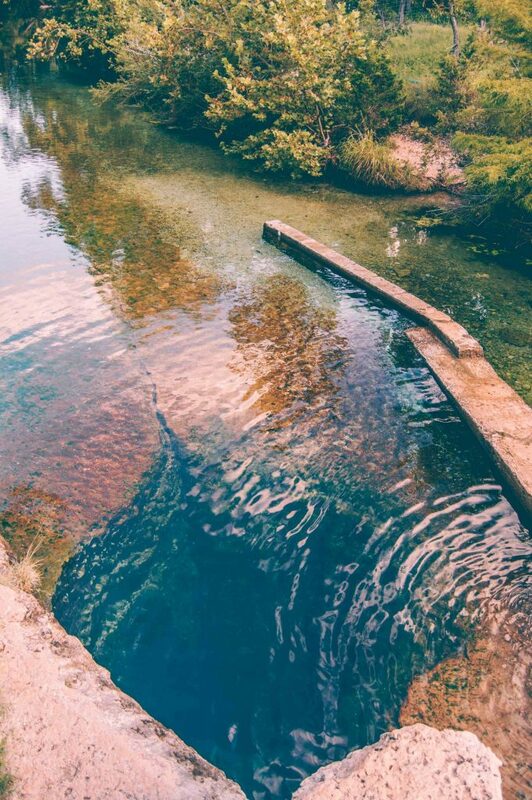 Just half an hour away from Salt Lick BBQ is Jacob’s Well, a swimming hole fed by natural springs. The well goes 30 feet (9 meters) down. Jumping is prohibited, but the signs don’t seem to stop anybody. Anybody, but me that is. I didn’t jump. Now I really wish I have. Another short trip took me to Dallas for a weekend. The annual State Fair is something you do not want to miss, especially if you like deep fried foods. I think the official slogan of the event should be “If it’s not fried, it’s not food!” I wrote more about my experience at the State Fair here. 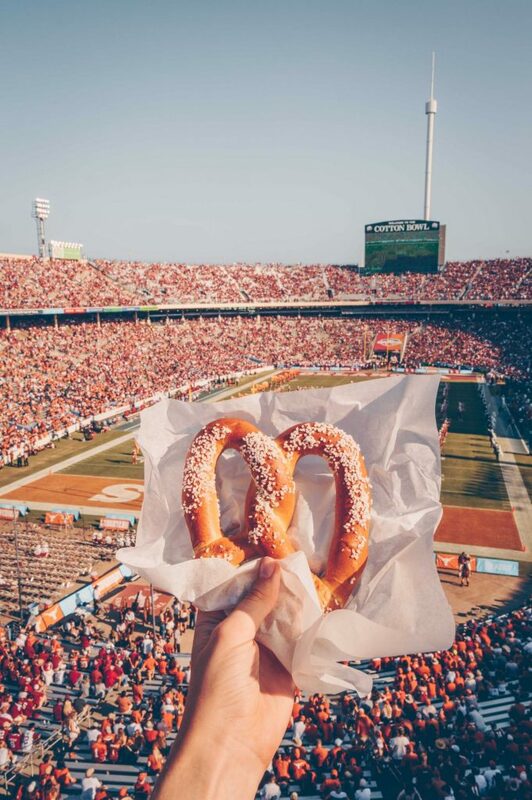 And since I was already at the State Fair of Texas, it only made sense to watch the Red River Showdown, an annual football game between the teams of University of Texas and University of Oklahoma that takes place in Dallas. My first ever American football game experience alongside 90 000 fans! 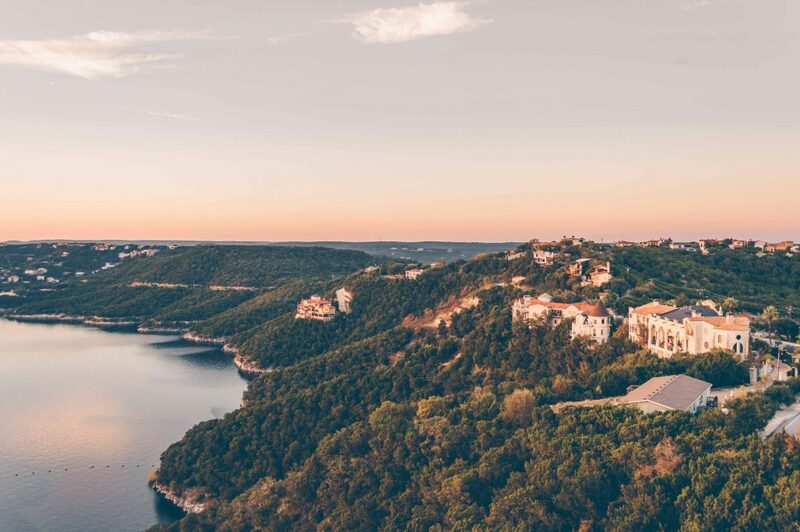 Sometimes Texas looks a little bit like Europe, doesn’t it? 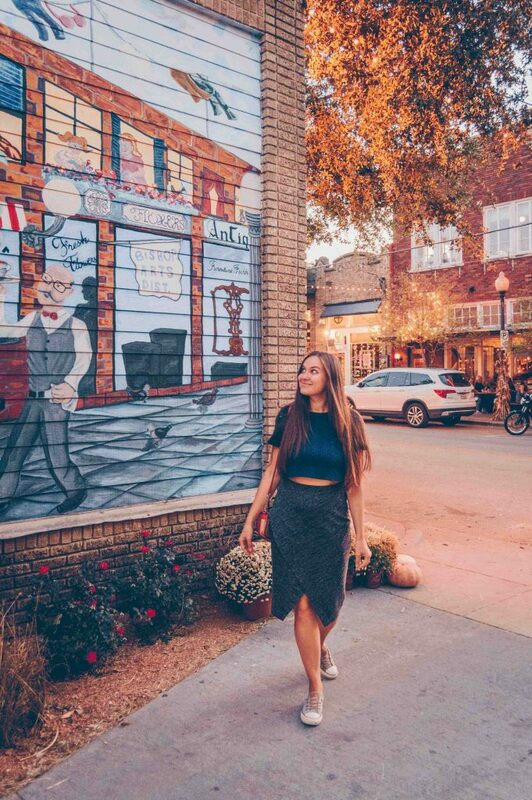 Dallas’ Bishop Arts District is one of the prettiest and most walkable neighborhoods in the city. Walkable is not something Texas, or the U.S.A in general, can boast about. So yay to Bishop Arts! 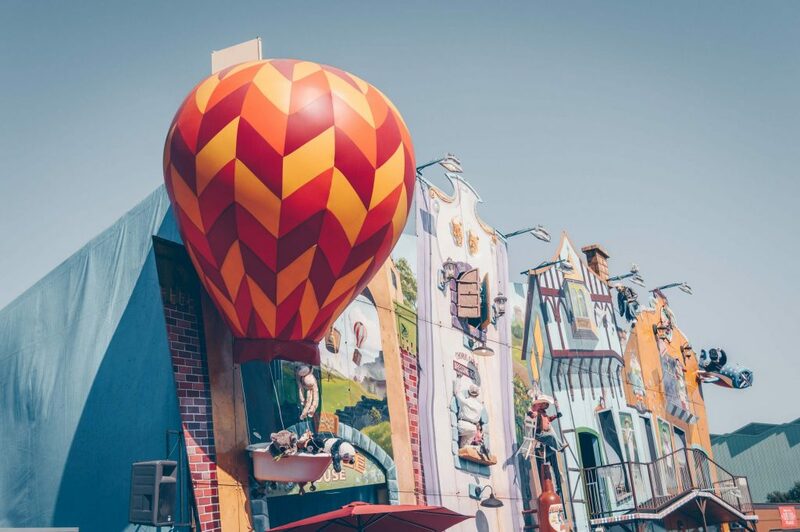 Just a few blocks away from the mural on the previous picture is this cute house. 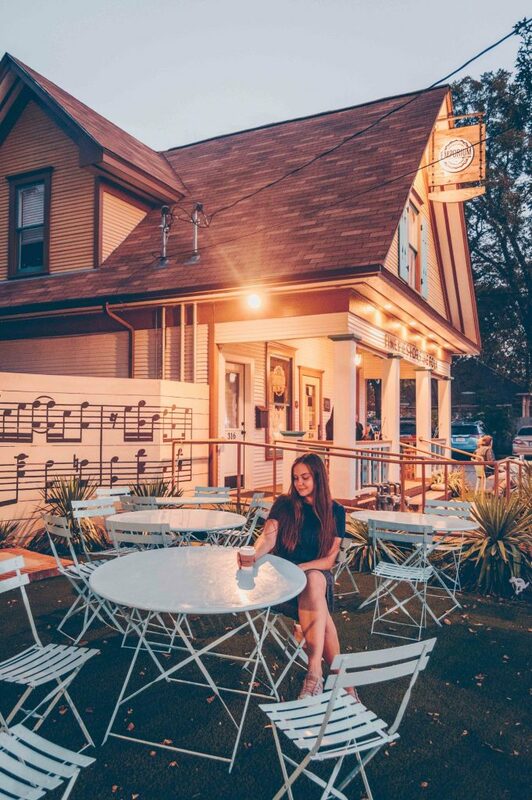 I am modestly holding on to a cup of coffee here, but what you don’t know is that afterwards I went inside and stuffed my face with chocolate pie! Emporium Pies is one of the best places in Dallas and Texas to do that. Am I still in Texas? Are you sure I am not in Italy? Because for a second there, I thought Monica Bellucci lives in the house on the hill. And you know what the view from that house looks like? It looks like this! 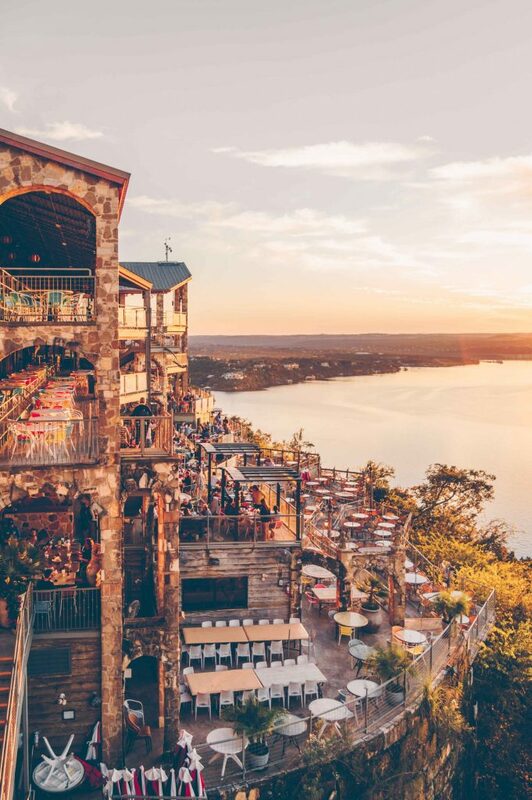 The self-procalimed Sunset Capital of Texas — Oasis Cafe — is located on Lake Travis. I can’t vouch for food, but you can come here in the evening to have a drink or two. Can you believe that this is a picture of Texas? 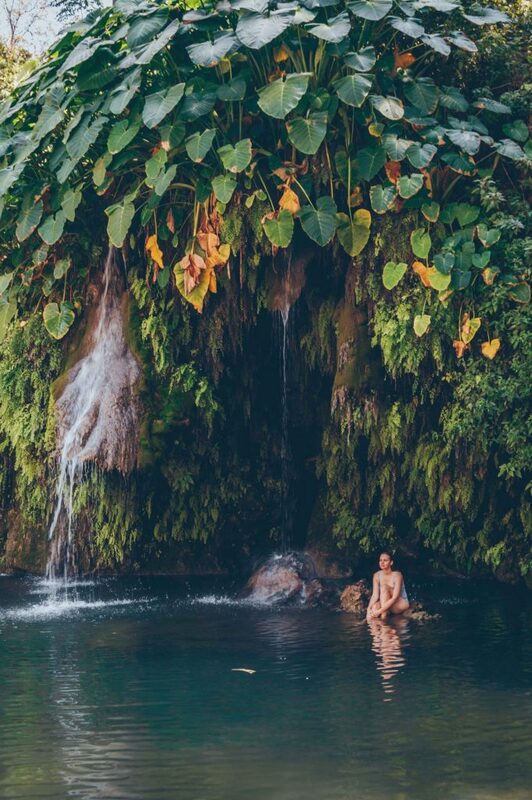 On a hot summer day, Krause Springs is a perfect place to cool down. As you probably noticed, Texas doesn’t have a lack of swimming spots. 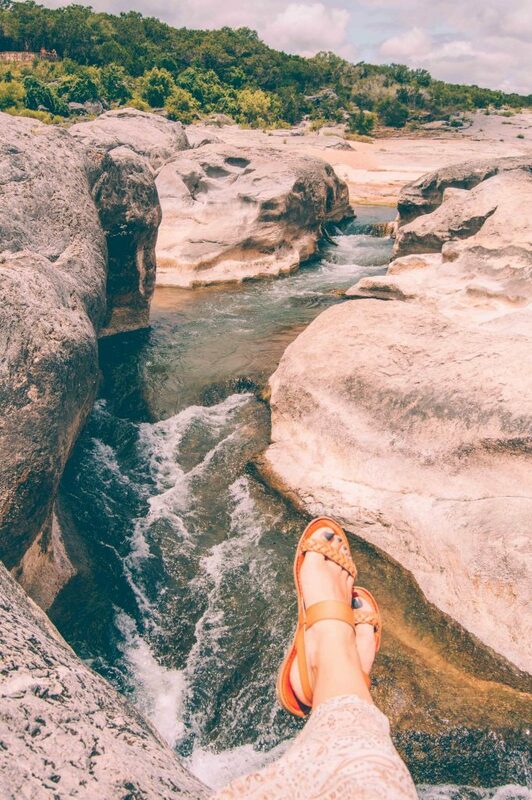 Pedernales Falls is another option. It is also a great stargazing spot near Austin. Same place, different angle. 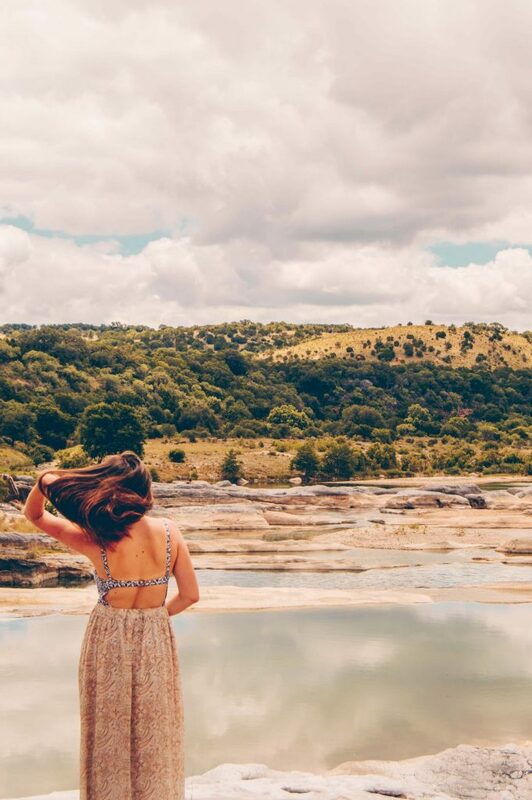 Pedernales Falls State Park. Still not sold? 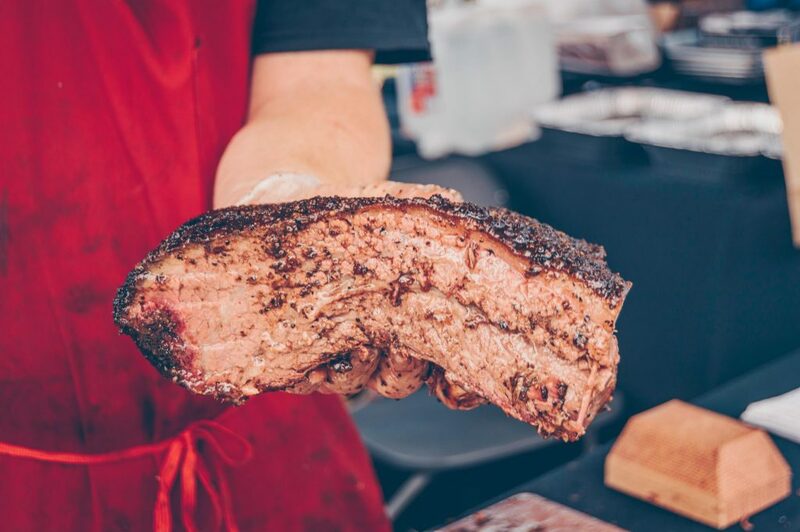 Well, If this juicy brisket from Micklethwait Craft Meats doesn’t inspire you to travel to Texas, I don’t know what will! 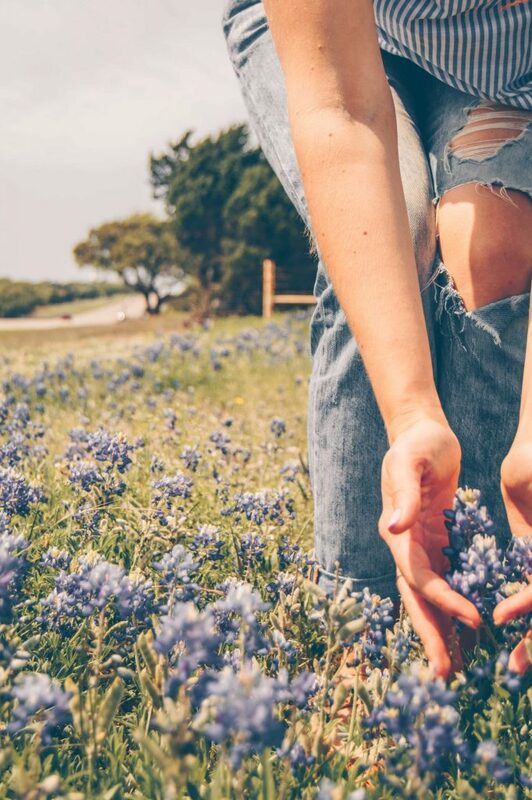 Spring is the best time to see bluebonnets in bloom. They grow along highways making it impossible to miss the fields turned blue. 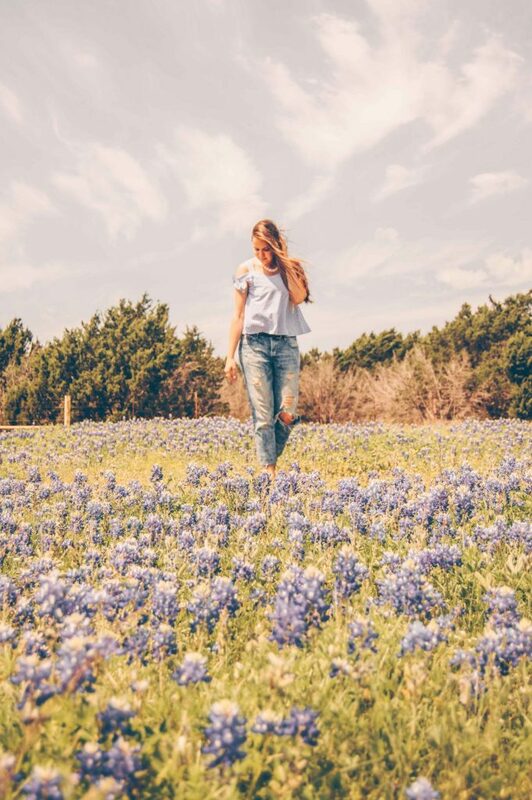 There’s even such a thing as Bluebonnet Trails, 40 miles of mapped driving trails near Ennis, TX, and a Bluebonnet Festival! Another one of the many day trips was inspired by my visit to LBJ library in Austin. In front of me is the house where Lyndon Johnson, the 36th President of the United States, spent so many hours during his presidency that it was affectionately named the Texas White House. On the way to the Texas White House I made some friends. Didn’t dare to come any closer, though. A few day trips were also taken to San Antonio to see the legendary Alamo, eat rival tacos, and watch a Spurs game (well, my husband watched Spurs, I mainly watched hot Tony Parker). 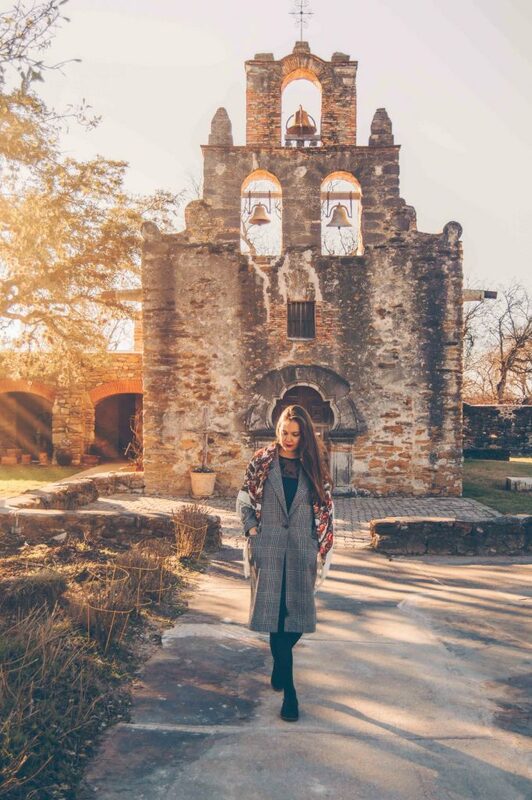 While Alamo might be the most popular and most visited mission, there are three more missions located within the city limits. My favorite was Mission San Francisco de la Espada. Finally, this picture of my beloved state of Texas. 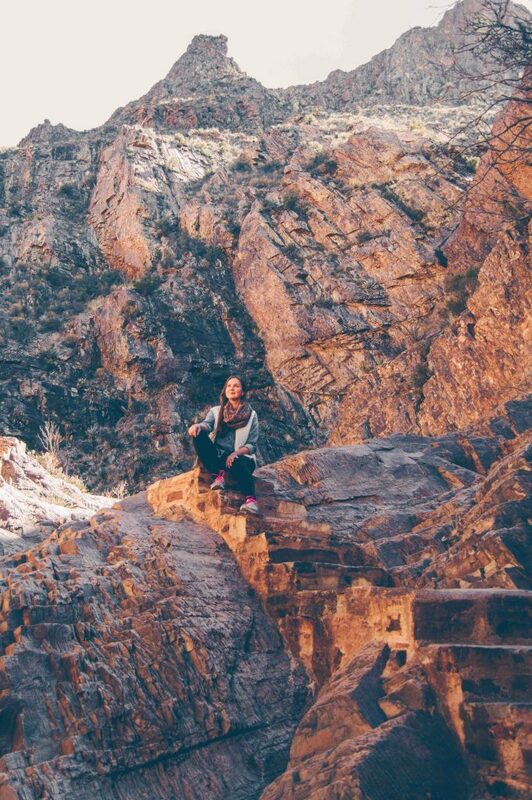 Because what can be better than mountains? “Better than all the mounts is the mount, which nobody has mounted yet!” At least that’s how a famous Russian song goes and I fully agree. 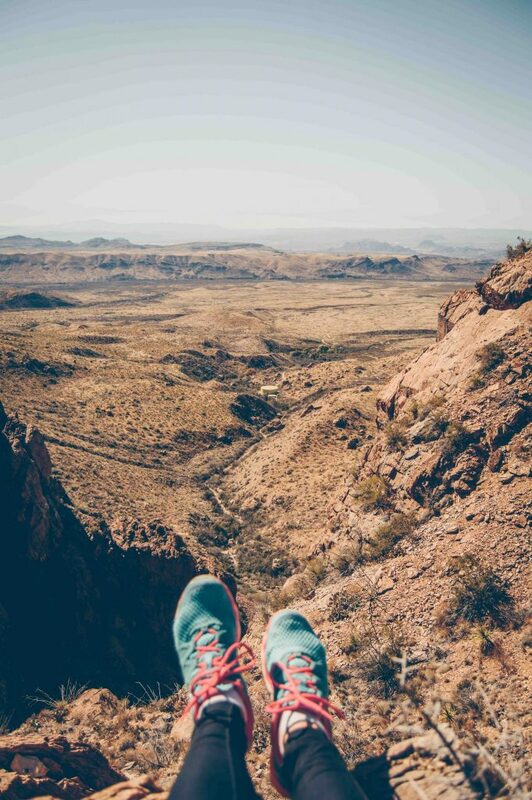 The picture was taken in Big Bend National park. 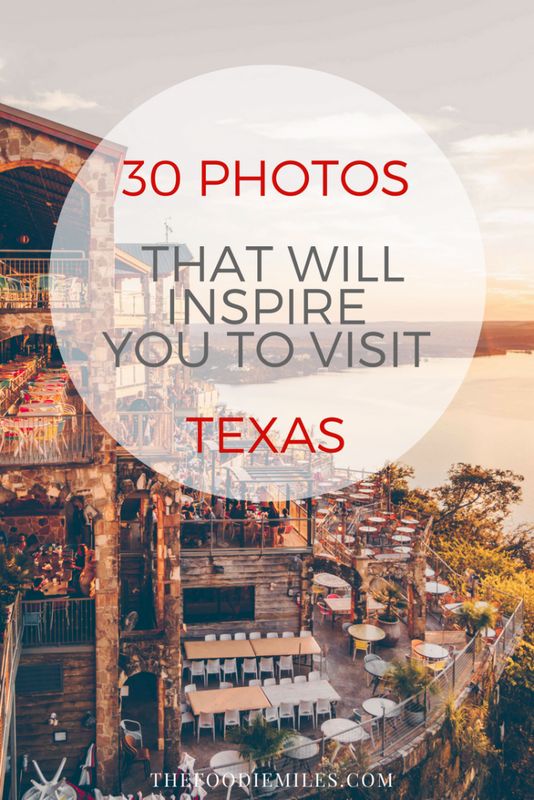 Tell me, which Texas picture you loved the most? 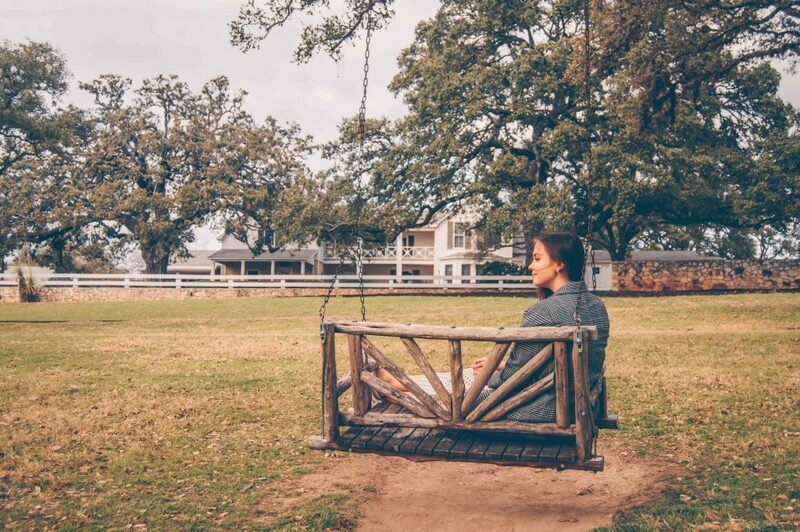 Did you know Texas is this beautiful and magnificent? Booking the tickets already? Beautiful photographs and love the color/tones. They definitely make me want to visit Texas!